Dr Rodier is outgoing Director of the Department of Country Health Emergency Preparedness and International Health Regulations, Health Emergencies Programme at the World Health Organization (WHO), and will lead the Myanmar, Vietnam and Laos legs of the mission. Dr Rodier is retiring from his WHO role at the end of May, which has allowed Australia to request his participation in this phase of the design for the Health Security Initiative for the Indo-Pacific Region. David Heymann will lead through Indonesia, the Philippines, Thailand and Cambodia, including discussions in Bangkok on regional programs and cooperation. Professor Heymann is also the head of the Centre on Global Health Security at Chatham House and Professor of Disease Epidemiology at the London School of Hygiene and Tropical Medicine. 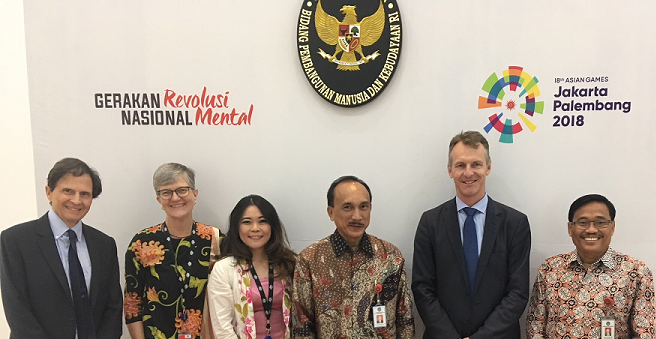 Australia’s Ambassador for Regional Health Security, Mr Blair Exell, will join the Indonesia leg of the mission for discussions with Indonesian Ministries and Indonesia based multilateral partners. The Southeast Asia scoping mission is the second of two scoping missions, following the successful completion to of the study covering the Pacific and Papua New Guinea. The Southeast Asia study will have a strong focus on animal health and disease surveillance networks, and will conclude in June.